I have been missing from posting for a long time! We had a small leak under the kitchen sink that didn’t seem like that big of a deal. I called the insurance company out to give us an estimate and before I knew it, the kitchen cabinets were sitting outside and I could actually look through the boards of the sub-floor to the dirt under the house. AH!! It seems like most of the summer was spent in the kitchen remodel, but now I have a beautiful wood kitchen floor and new fresh counter-tops. I am amazed at how beautiful my kitchen is now, and it is a reminder of how sometimes good can come from something bad. It is apple season here in Washington State. We have apples on the trees, over the arbors, and in large boxes at the farmers markets, A few weeks ago, I bought a mixed box of apples and brought them home to make applesauce. I am new to canning, and this is the first time I ever made it. I was surprised how simple it was! I looked on-line at all kinds of recipes, in the end I just peeled and cored the apples and put them in my crock-pot. I put some brown sugar and cinnamon in the apples with a little bit of lemon juice. I cooked them until they were soft, and adjusted the sugar and cinnamon to taste. 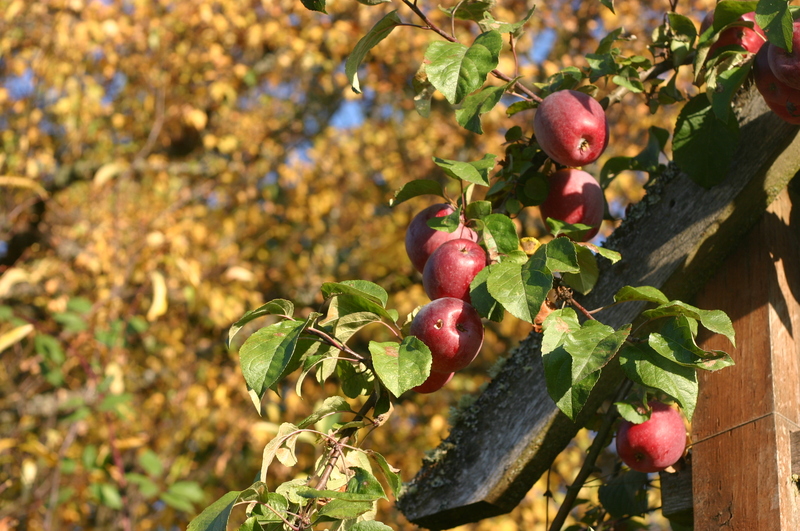 The house was filled with the fragrant aroma of apples and cinnamon! I then filled my hot jars with the sauce and processed them in a water bath canner for 15 minutes. On cold winter mornings, we now have home-made applesauce to top our toast and pancakes. 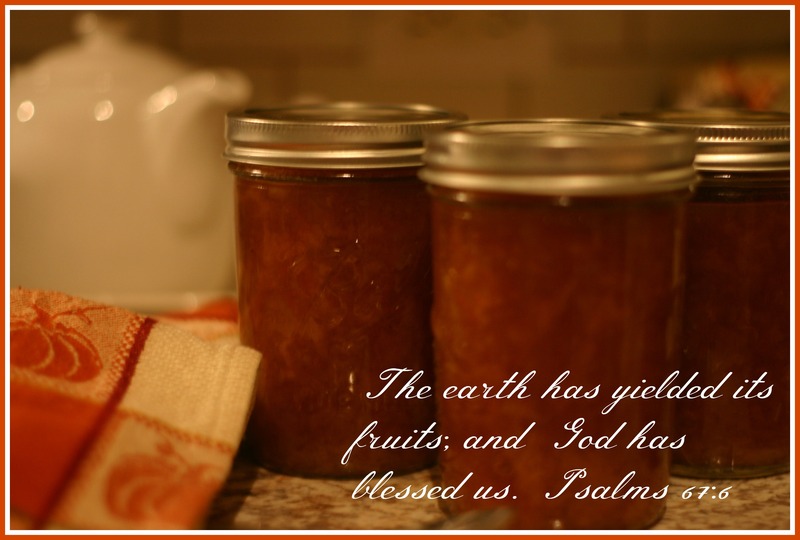 Each jar is a tasteful reminder of the fruitful blessings. 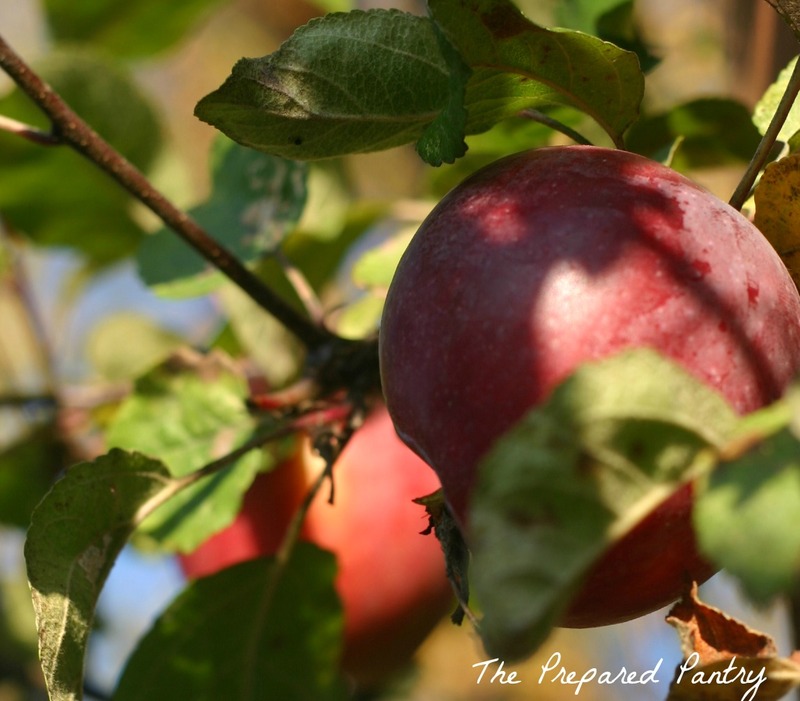 Have you ever made applesauce, how do you make it? Making goals for the season is something I have tried to do lately. 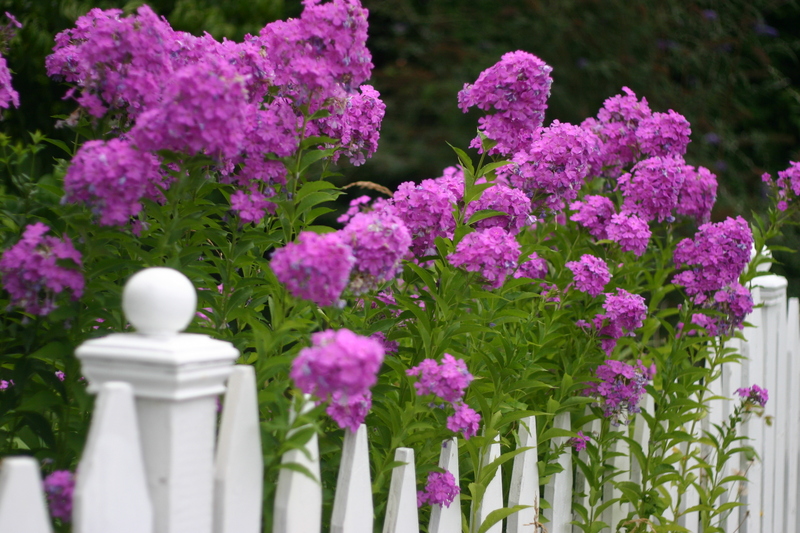 Especially summer, as the weather is beautiful here and it is a time to get things done and enjoy the season. If I don’t, summertime laziness creeps in and I wonder what we did that was fun, or what we accomplished. 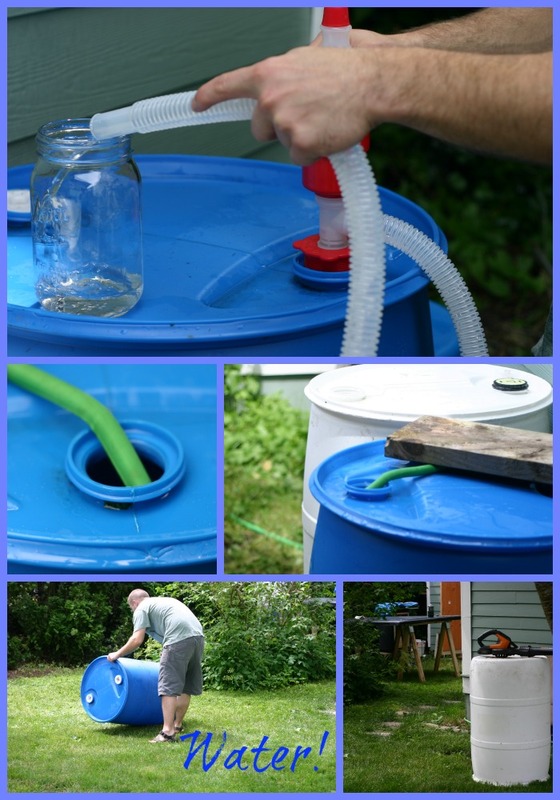 This year, my goal was to expand the gardens, both the flowers and the vegetable, and learn to pressure can. 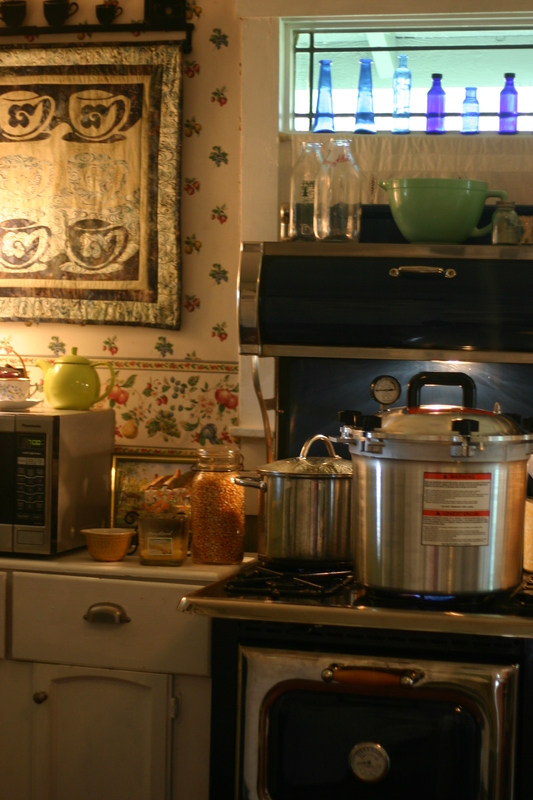 I have water-bathed canned for years, but I have never canned the vegetables and soups. 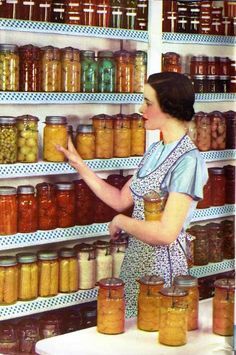 I had never even thought of canning meat until I saw a video where she told how easy it is to put a meal together with canned chicken. Really? Canned chicken? I researched canners for months, and finally selected the All American Canner based on reviews and recommendations from several people who can often. I jumped right in canning Tangerine Chili. My thought was that having a meal I could simply open would be wonderful, and since tomatoes were ripe and the recipe called for fresh tomatoes that would be a great place to start. I watched all kinds of videos first, even a video where they canned the recipe I was working on. I had to smile to myself, here I was in my 50’s, and calling my son and asking him what to do next. (He pressure cans food for living off-grid on his boat.) Most of the people I watched and learned from, were younger than I am. I think many of these old skills skipped a generation or two and now we are seeing a resurgence. My own mother often declared she would never can like her mother did. I often heard her declare: “Why can when I can buy it cheaper in the store? !” We have returned to the old ways as we realize he taste is superior and healthier, and there really is a nothing more convenient than opening a jar of home canned chili on a winter evening when you come in late. I was able to put up several jars of chili and we ate a bowl that night despite the warm weather. I was on a roll and ready to can some vegetable soup next! I could see my pantry… filled with all sorts of wonderful vegetables and meals, just ready for us to use for a meal! Life has a way of surprising you. We had a leak under the sink that we didn’t notice for a few days. It leaked under the wood floor, under the cabinets, and when the floor started to buckle, I called our insurance agent. For the last two weeks, we’ve had contractors in, blowers going, and now our kitchen cabinets and sink have been removed to allow everything under them to dry. 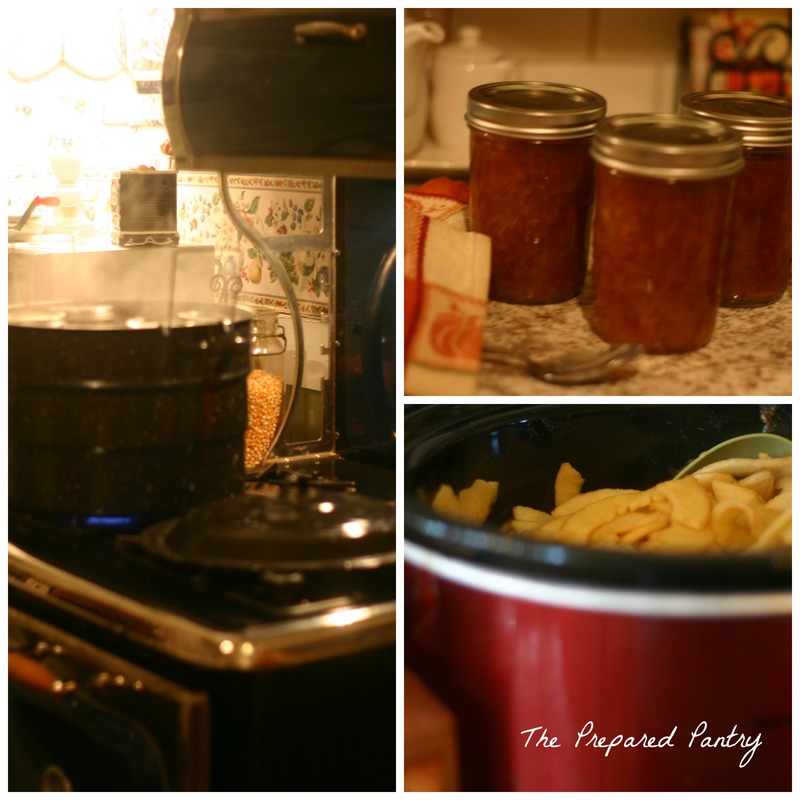 Canning or doing anything in the kitchen has come to a complete stop! I can totally see the beauty of ready meals in a jar. We’ve gone out to eat most evenings as it is just too hard to try fix something. Did you learn to can as a child or is this a skill you are hoping to acquire? 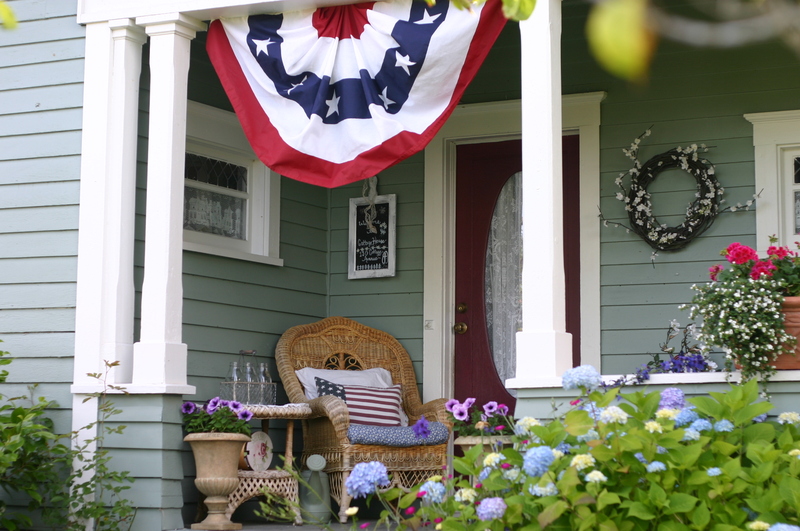 What summer bounty are you “putting up” this year? 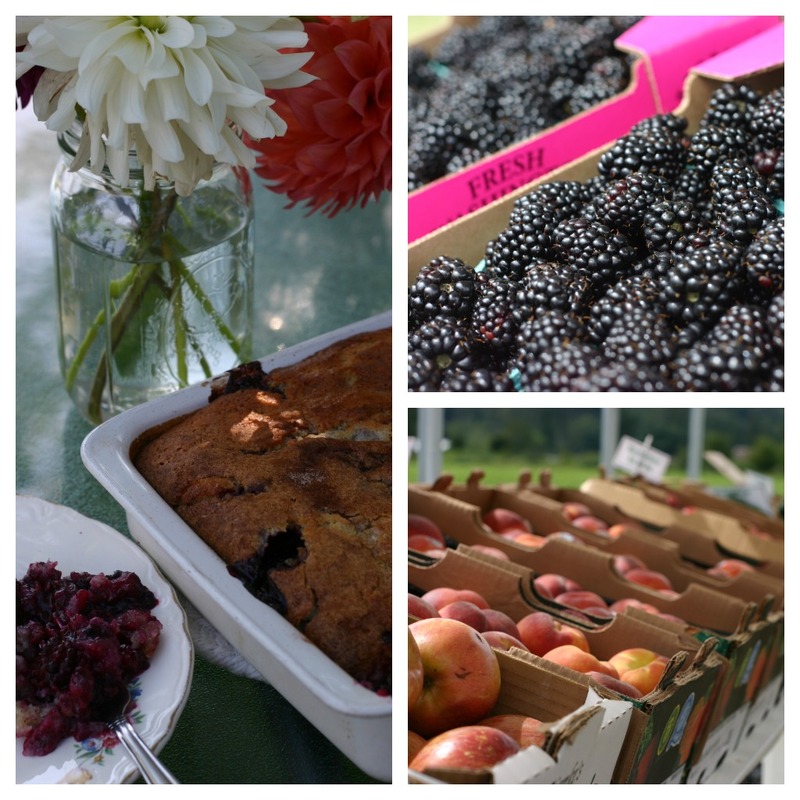 It’s berry season here in the Pacific Northwest, with the harvest a little earlier this year with the warmer temperatures we have been having. I decided this year to try to make some blueberry freezer jam. Freezer jam seems to keep that fresh berry taste better than canned, so it is favorite at our house. We use it for topping biscuits, ice-cream, pancakes and crepes. Or for just eating straight out of the jar-not that I would ever do that! I wanted the jam to be a little less set, which freezer jam does tend to do. When I look for blueberry syrup, I can’t find any without high fructose corn syrup, and even then it is over $8 for a small bottle. I tried this recipe from the ball website, although I didn’t use their pectin, I just used sure-jell. 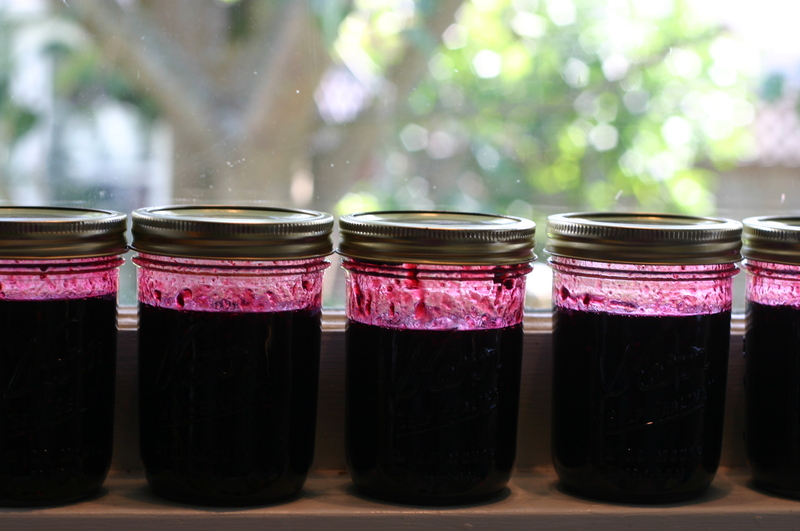 The jam turned out perfect to use as a syrup, topping, or even as jelly for biscuits. 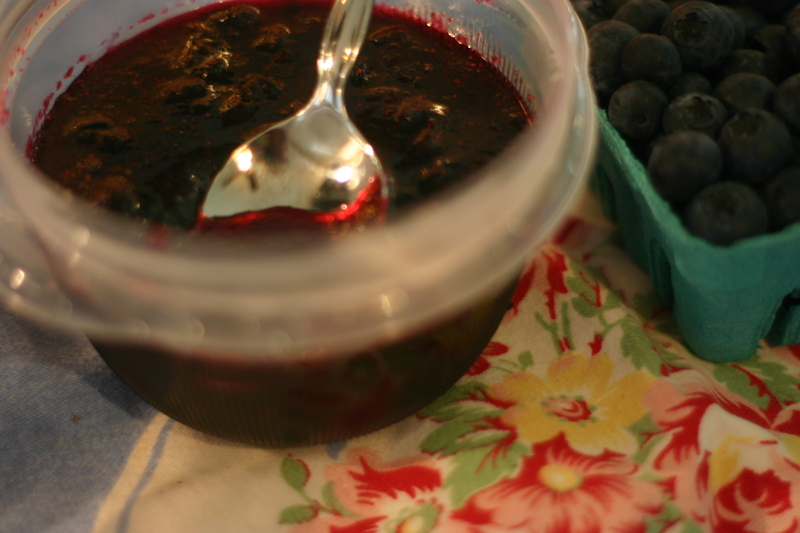 This winter when the cold wind blows, fresh blueberry topping will be wonderful with pancakes. Pancake mix is one of those items I have in my long term food storage pantry. Different types of toppings would be nice in an emergency. If you top it with peanut butter instead of butter, not only be delicious, but it will get you through the morning. Join in on the discussion, do you prefer freezer jam or canned? What summer produce are you putting up for your pantry?